Cathy Davey (born 1979) is an Irish singer and songwriter and multi-instrumentialist, daughter of composer Shaun Davey and sculptor Agnes Conway. In 2003 she signed to EMI and released the next year her first album Something Ilk, produced by Blur/Elbow collaborator Ben Hillier and recorded with the help of Simon Jones (bass), Justin Pritchard (drums), Simon Tong (guitar), Diana Gutkind (keyboards) and Ben Hillier (percussions). At that time, Davey also provided vocals for Elbow, Ken McHugh’s Autamata and Dutch-Irish act House Of Cosy Cushions. In 2007 Cathy Davey released her second album Tales of Silversleeve (EMI). Produced by Stephen Street, the album featured many sessions musicians including Simon Jones (bass) and The Immediate’s Conor O’Brien (guitar). The album won the Choice Music Prize that year. In 2008 she was one of the guests at the album launch party of Pugwash’s Eleven Modern Antiquities where Neil Hannon also performed on that night. Neil Hannon and Cathy Davey would then pursue a professional and personal relationship . Indeed, Neil and Cathy often performs together at fund-raising shows in Dublin. In 2009, Cathy Davey contributed to recordings of Lisa Hannigan and Conor O’Brien’s Villagers, as well as a couple of Neil Hannon’s projects: The Divine Comedy’s Bang Goes The Knighthood and The Duckworth Lewis Method. Meanwhile, she worked on her third album The Nameless on which Neil Hannon and Conor O’Brien also contributed. The album was released on her own label Hammer Toe Records in 2010. In 2011, Cathy, Jape and Romeo Stodart performed with Neil Hannon for the JD Set. Together they covered the first album of Vampire Weekend. 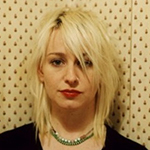 Cathy Davey has curated many fund-raising projects, including the show ‘Songs That Scare Children’ (on which Neil Hannon participated), and the album Oscar The Hypno-Dog (2012) for the Dogs In Distress association of whom she is the patron. The album involved many artists including Neil Hannon, Villagers, Lisa Hannigan & Graham Linehan. As an animal lover Cathy has been very involved in dogs rescue, and more recently in horses rescue with the association My Love Horse Rescue of whom Neil Hannon is the patron. In 2016 she released a new album, New Forest. The Divine Comedy album Foreverland was dedicated to her. She provided vocals on the album, and subsequently joined the band on stage on a few occasions.